M. Louise Heydt’s book Going to the Dogs: An Incredible True Story is the story of just that…our beloved pets being with us even after they are gone. 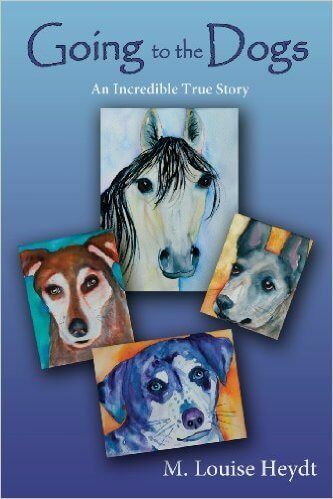 The author is a devoted “mom” to her three dogs (and horse). When one of her dogs, Rasa, is diagnosed with cancer, Louise calls on Laura Stinchfield, the world famous pet psychic, to visit the family and explain to Rasa why she is undergoing surgery and treatments. Sixty meetings with Stinchfield would follow, each bringing great enlightenment into the minds of Louise’s furry friends. After another one of her dogs, Kundun, dies suddenly, the author and her family are left shattered, but, with the help of Stinchfield, are able to communicate with him from beyond the grave. Going to the Dogs: An Incredible True Story gives bereaved pet owners reassurance that their devoted companion will always be with them, and is also a compelling read for even the biggest skeptic on the afterlife. Enjoy! 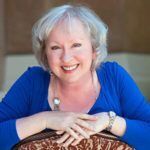 Louise Heydt, author of “Going To The Dogs, An Incredible True Story”, lives in the Ojai Valley in the Central Coastal Region of California. She lived on a two hundred acre property surrounded by the Santa Fe National Forest in northern New Mexico for twenty years before moving to California. This experience resulted in her first book, “Divine Rainbow, Nature as Spiritual Teacher,” published in 2006, which won first place in the New Mexico Book Awards in 2007. Louise has a Master’s degree in Eastern Classics from St. John’s College in Santa Fe, New Mexico. She brings her academic knowledge of Buddhism, Hinduism, and the literary classics of India, China and Japan into her writing. Louise has traveled extensively throughout Asia. She has owned horses, dogs and cats her entire life beginning with Skippy, a little dog that followed her home when she was eight, Cry Baby, a hungry cat that showed up at the door, and Tony, a former wild mustang in Nevada she bought for fifty dollars without her parent’s permission when she was eleven. What inspired an animal lover to write such a remarkable book? How did the communication with her dogs and horse change her relationship with them? What surprised her the most about the conversations she had with her dogs and horse? After one dog died, how did the conversations change and what effect did this have? Why Louise decided to experience the services of an animal communicator? Animals have feelings, thoughts, dreams, intelligence, and humor. They know what we are thinking, so our thoughts should be positive. They see what is on TV through our minds, so we should not watch violence. They have souls and go to Heaven where they stay with us and watch after us. Sometimes they reincarnate and come back into our lives again. They can see the souls of humans who have passed and hear what they say. You can communicate with your animal friends with thoughts displayed as visuals like a movie. Remember: Be pro-active with your pet care. If you think something isn’t right – it probably isn’t. Trust your intuition – it is your elevated consciousness and you can rely on it.